Alright. The Kyoto open-air museum was okay, but not necessarily my favourite destination. Osaka provided a most welcome change for a couple of days. If the former stands out as the history-rich former capital, Osaka has more character. It wears its heart on its sleeve. 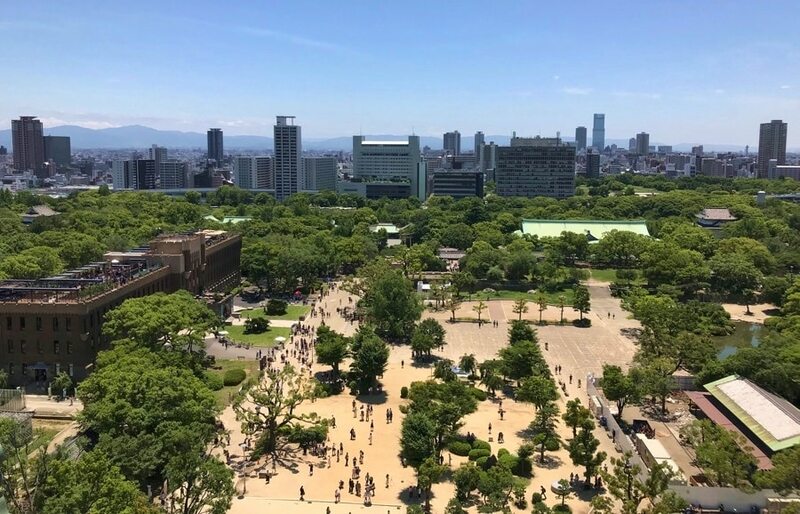 The second largest city in Japan has larger streets, it’s dirtier, there are less restrictions on everything and the people are more upfront. Osaka remains a very Japanese city but it delivers some of Berlin’s flair in its own way. This made me smile. The day of arrival was nothing special but I must single out the bullet trains (Shinkansen) for having impressed me greatly. Always on time and super fast. If I read the schedule correctly, going from Kyoto to Osaka was meant to take 40 minutes and we were there in about 30. Take that on the chin, Deutsche Bahn. My second observation from arrival is culinary. As you head south in Japan, a dish called Okonomiyaki sees you, stares you in the face and dares you to step in the restaurant to try it. 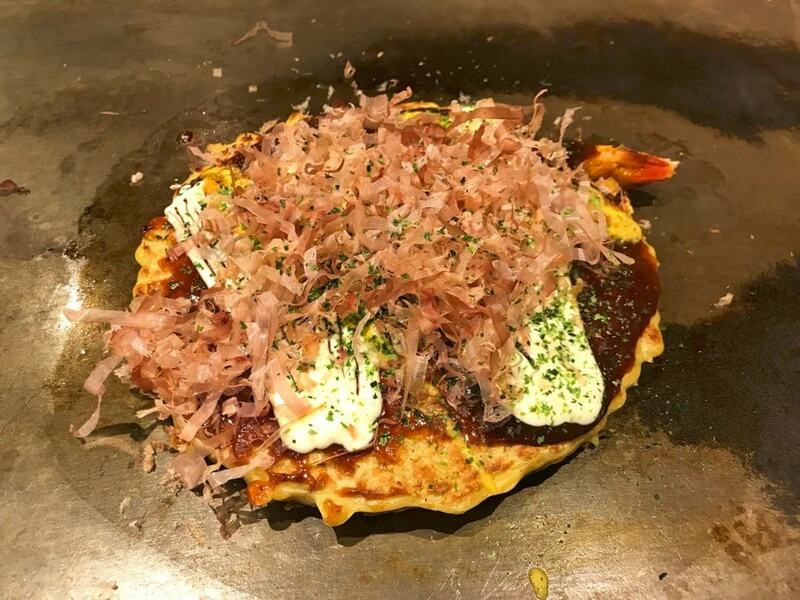 Okonomiyaki is a sort of pancake that varies according to where you eat it. Batter, sometimes noodles, egg, shredded vegetables, sweet soy sauce and more. In my case, the yaki had ginger and shrimp in addition to the basics. All cooked on a grill right in front of you. A hearty, flavour-rich meal with a bit of sake or beer. The next day, I struggle to find decent coffee and breakfast but once I am done, I can see what this city has to offer. 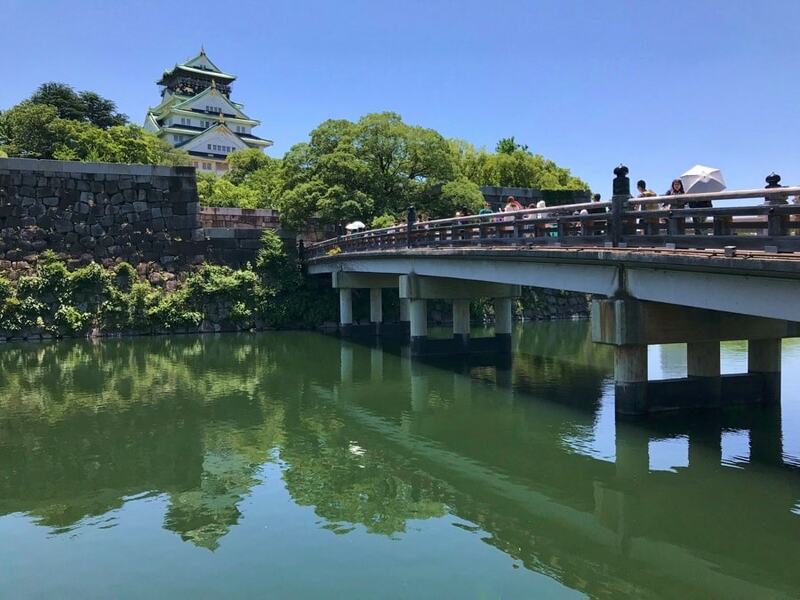 With bright sunshine, I ignore the temples (it gets old after a dozen) and walk straight to the Osaka Castle, the power base for Japan’s ruler in the 16th century. Nice building, panoramic views and a rich garden make for a most pleasant visit. I could almost see my reflection in there. 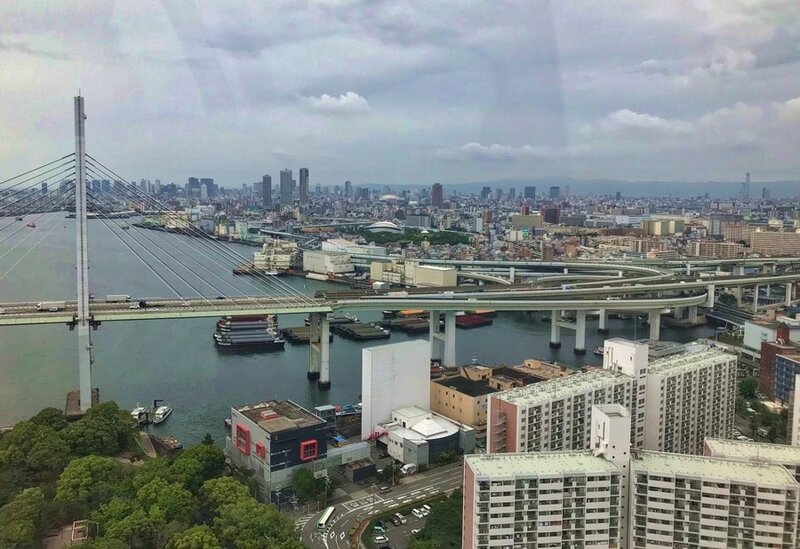 Near the water at the other extremity of the city’s territory, a Ferris wheel takes you in the air for a 360 degrees view. It looks better in person because the human eye doesn’t focus on the pesky light reflections that a camera picks up, but the results remain nice. In the afternoon, I search in vain for a decent tea room. We, foreigners, view Japan as a tea paradise but it is not so much the case if you want is to sit down and sip for an hour. 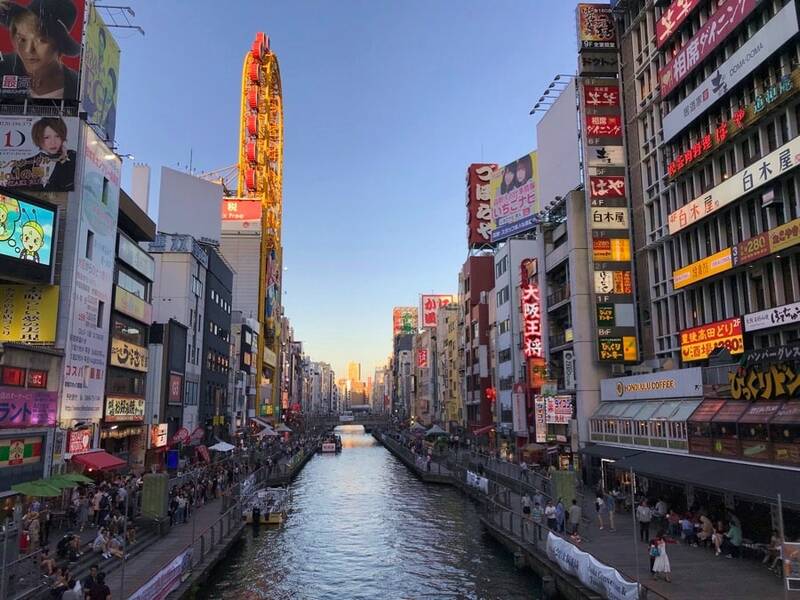 I give up and go to the heart of the city for one of the classic Osaka sights: Dotonbori. Think of a mix of Tokyo and Times Square at a smaller scale. Hyper commercial, crowded with thousands of people, shops, cafés and massive billboards wrapped around a canal. 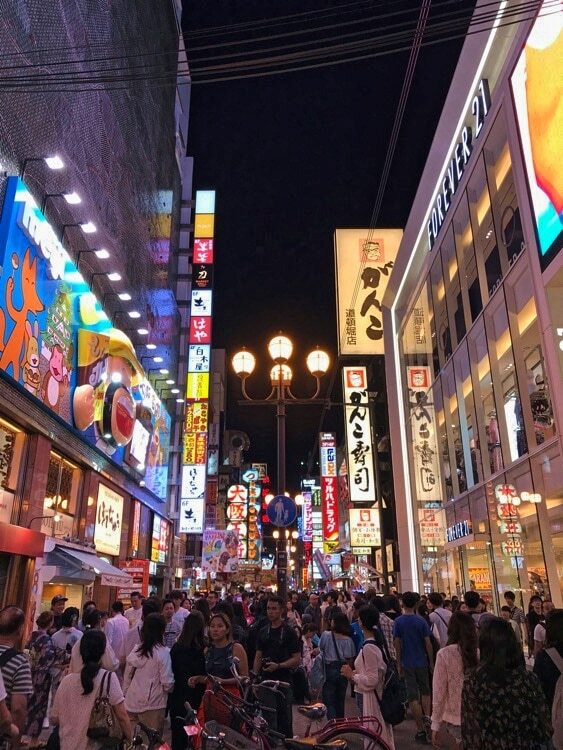 It is in Dotonbori that I realise one of the most obvious differences between navigating a crowd in Japan and in a Western country. How often do you bump into someone? Almost never. The Japanese are aware of their surroundings and when they see that they are on a collision course with you, they adapt for movement to remain fluid. In the West, I have major problems with people’s unwillingness to acknowledge that other people exist in public areas, leading to frequent impacts. This vacation is a nice respite. 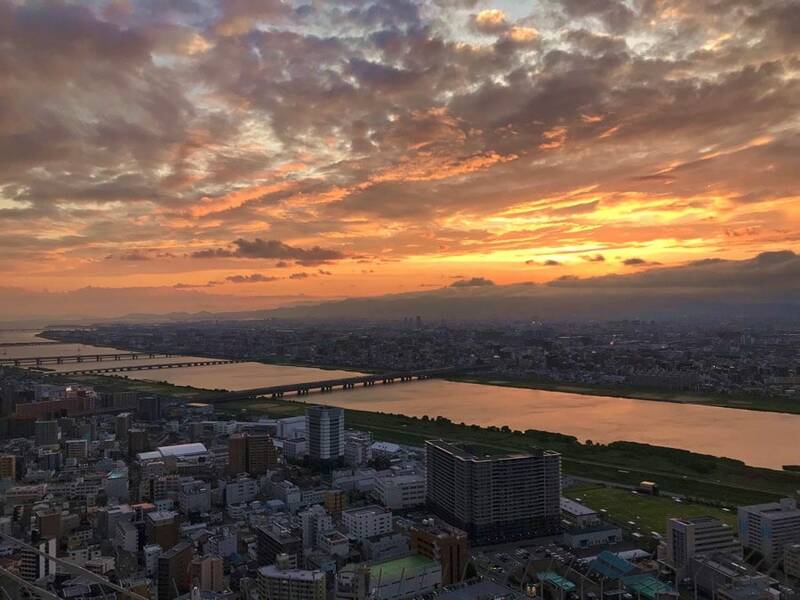 Finally, there is no better way to finish a day in Osaka than climbing up the Umeda Sky Building for more sweeping views. Half an hour before sunset, I pick up my ticket for the observatory. Once I am on top, only 15 minutes separate me from a colourful skyline photo. That was swell. 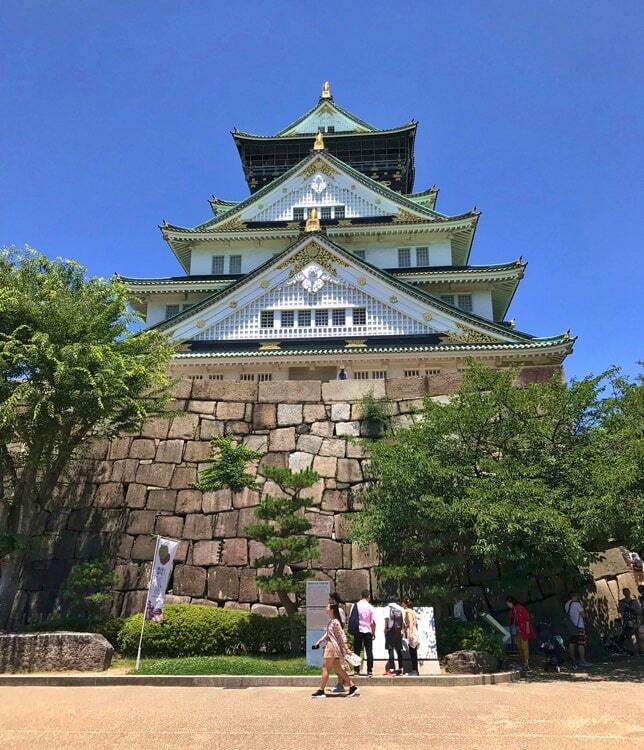 Osaka is not necessarily on everyone’s bucket list but it left a good impression on me after a couple of days.